Ok… despite the online documentation and support forums, it took me some time to figure this out. 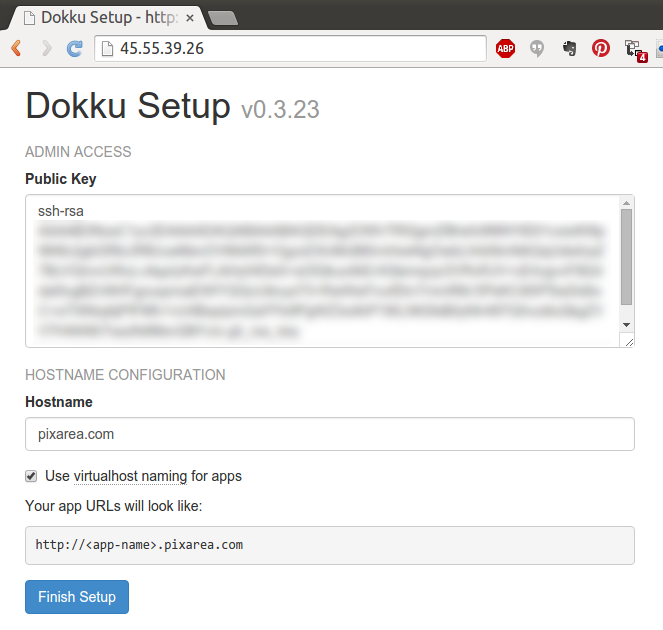 So here is a step-by step guide guide explaining how to host multiple apps on one unique dokku instance, on one unique Digital Ocean droplet, using subdmains that point to the different apps. All of this using only 1 droplet on Digital Ocean. be sure to have a registered domain name that you can add subdomains to. 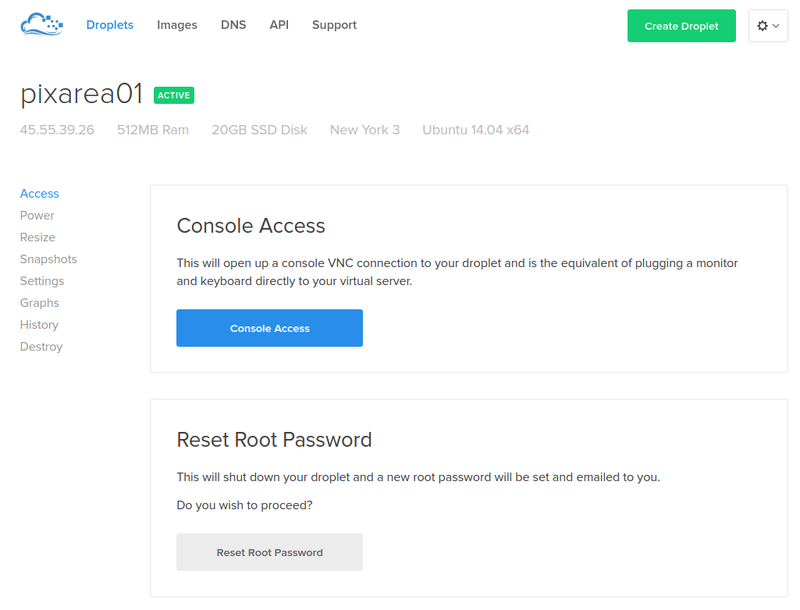 Go to https://www.digitalocean.com and login or signup. 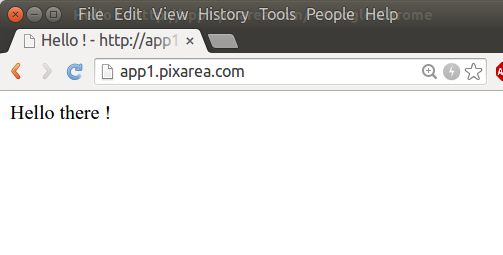 Name the droplet to your liking (“pixarea01” in this example), select the size and region. 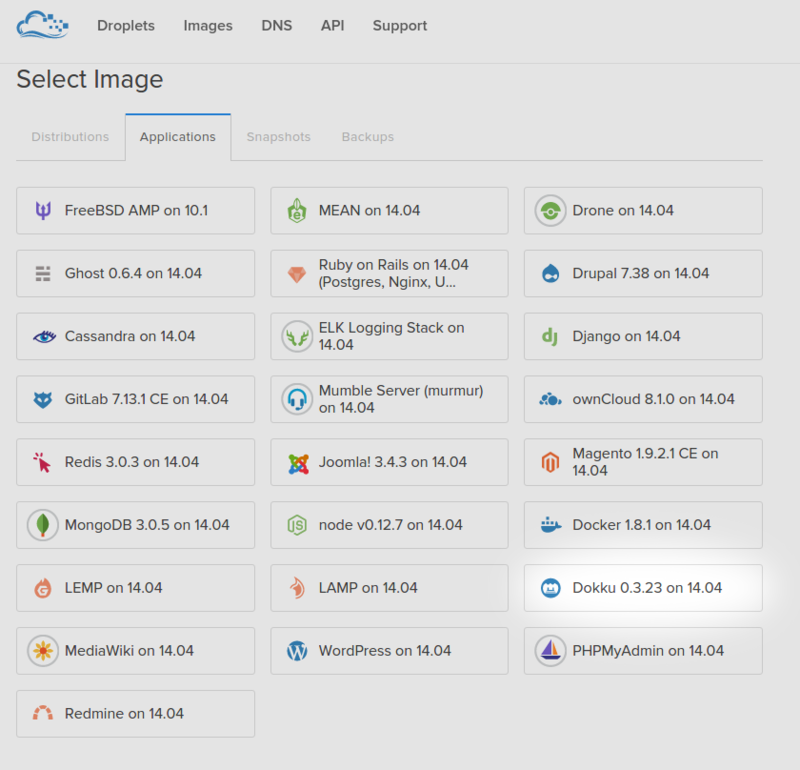 Under “Select Image”, choose “Applications” then “Dokku 0.3.23 on 14.04” or whatever newer version. 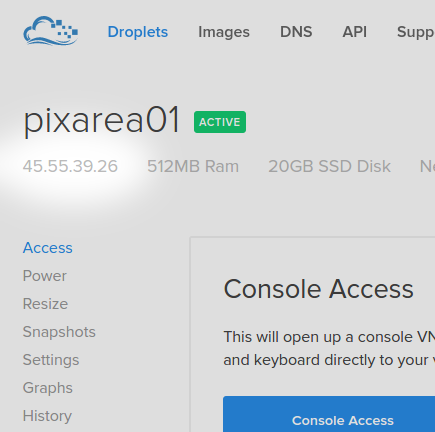 Now you can click on the nice green fat button “Create Droplet”. 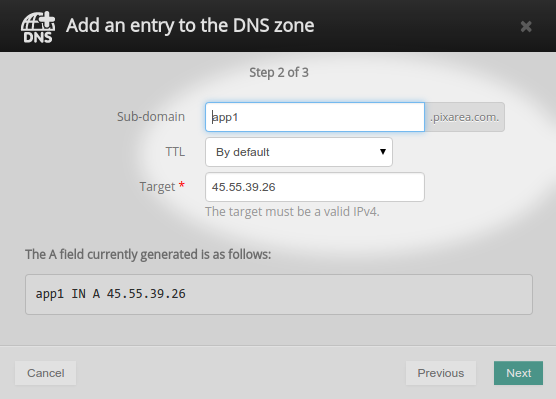 Open a browser window and paste the IP address as the URL. This will lead you to dokku’s first setup panel. Paste-in your id_rsa.pub key again, this will allow you to git push your apps without having to type a password each time. 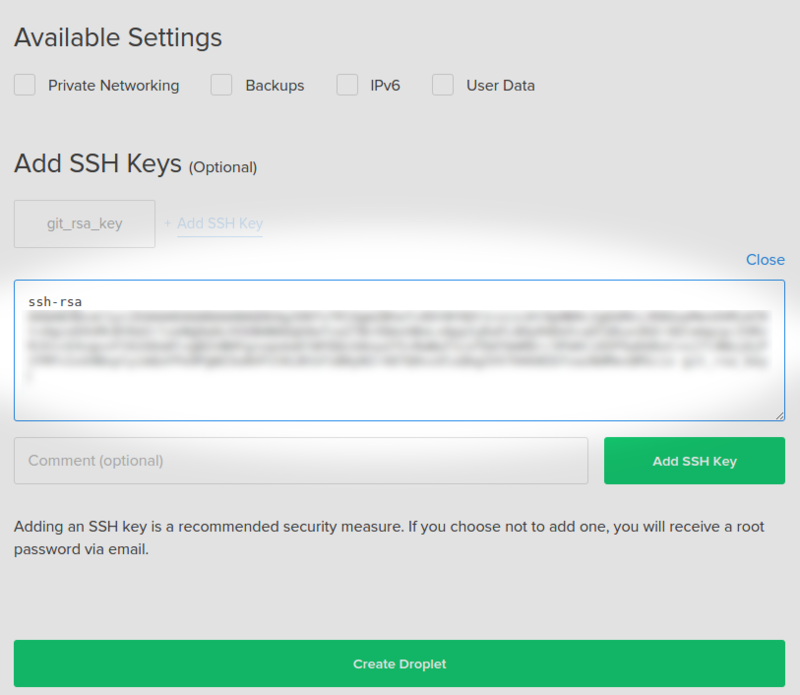 Be sure to check “Use virtualhost naming fo apps” ! … That’s it, Yay ! I’ve prepared a very minimal nodejs app. You can use it for this exercice if you want. 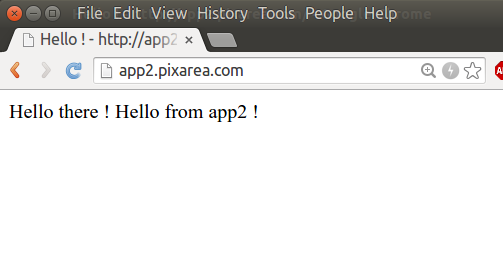 The :app1 part at the end tells dokku how to name the app, and has to match with the name of your subdomain, (ex: app1.pixarea.com) you defined earlier. $ git commit -m "Adapt welcome message to app 2"
Wish you some happy hosting / pushing / dropletting / deploying !